You can give your teammates different permissions according to the level of access that you'd like them to have. Change these permissions by clicking the "Team settings" icon on your Project Dashboard. The person who first sets up a team automatically becomes the Owner. This person is responsible for billing and is able to access all projects within the team. They can also administer teammates (invite new teammates, change roles and remove teammates). Teams can have only one Owner. Team members with an Admin role can do everything that an Owner can do, except access billing information. Teams may have as many Admins as they need. Members can see all projects within the team account. They can also create new projects, but they aren't able to administer teammates. Collaborators are Boords users that can be added to Team, Plus or Free accounts. Unlike Teammates (i.e. Admins & Members), Collaborators can only be added to one project at a time. They can edit storyboards and scripts and can comment on frames but they won't be able create or delete storyboards and they can’t access the admin settings (e.g. to add or remove teammates). For more information about Collaborators, check out this article. 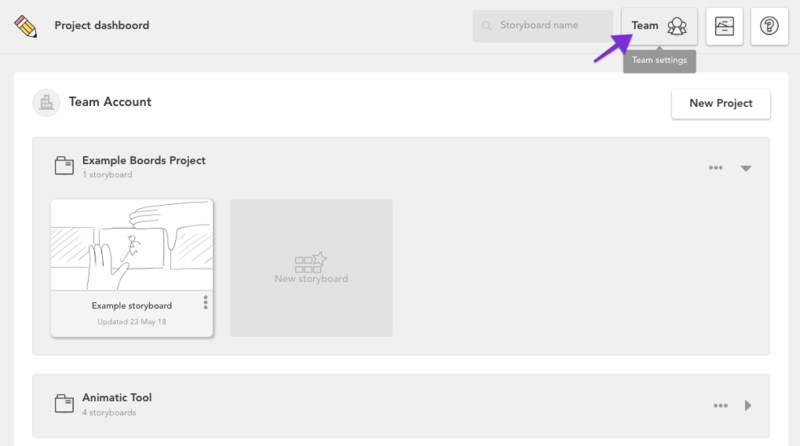 Guests can view and comment on storyboards in the shareable view, but they can't create or edit work. They don't need to be paying users. Anyone who's received a link to a shared storyboard is a Guest. 👆 Note: Read more about what Guests can see here.